Helicopter Tour in Nepal is getting more and more popular these days. Heli Tour in Nepal is the best option for the peoples who are seeking an opportunity to explore the beautiful nature and giant Himalayas in short duration. Some people have very much interest in exploring the nature but don’t have the enough time to Trek or Visit there by taking days, they can contact us for the short and best Helicopter Tour. 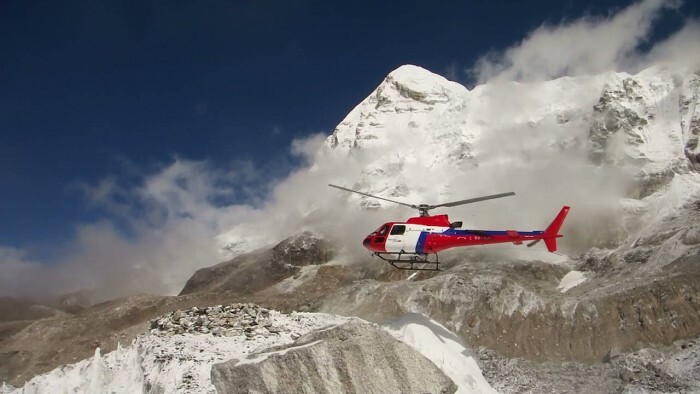 Helicopter Tour in in Nepal is and adventurous, unforgettable and luxurious tour. There are many great destinations in Nepal for Heli Tour. Nepal has more than 1000 snowcapped peaks and among them 8 reach the altitude above 6000m and are the highest peak in the world including world’s highest mountain Mt Everest (Sagarmatha in Nepali) reaching an altitude of 8,848 m. You can explore these high mountains in short duration by Heli Tour. If you love to see the biodiversity than Heli Tour to National Parks and Conservation Areas will be the best option. You can also travel to Pokhara – The City of Lakes. Phewa Lake, Begnas Lake, Rupa Lake, Mahendra Cave, Devis Falls, International Mountain Museum, Chamere (Bat) Cave are the spots shouldn’t be missed in Pokhara Valley. Sarangkot is Famous for adventurous tour and best Sunset and Sunrise view. Kathmandu is also the best option if you want to explore the traditional structures and historic and ancient temples kept in World Heritage Site. Himalayan Pilgrimage journey is providing you the best opportunity to explore the great views of Nature. Please contact us for more information and for booking the safe, luxurious and unforgettable Helicopter tour in Nepal.